Prominent & Leading Manufacturer from Ahmedabad, we offer hdpe electrofusion welding machine, pe electrofusion welding machine, mdpe electrofusion welding machine, mdpe electro fusion welding machine, hdpe electro fusion welding machine and electrofusion welding machine for hdpe fittings. AKIRA ENGINEERS is also into manufacturing of HDPE Electrofusion Welding Machine along with other HDPE Manual and Hydraulic Machines for normal HDPE Pipes. 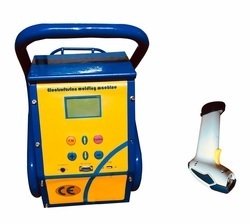 Electrofusion Welding Machine is used to join PE Pipes and Fittings with couplings which are used for Gas and Water Supply applications. 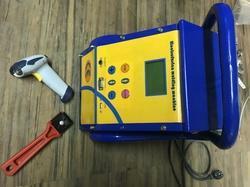 AKIRA ENGINEERS is also into manufacturing of PE Electrofusion Welding Machine, HDPE Electrofusion Welding Machine, Electrofusion Welding Machine, Fusion Welding Machine for HDPE Couplers, HDPE Electrofusion Welding Machine Manufacturer along with other HDPE Manual and Hydraulic Machines for normal HDPE Pipes. 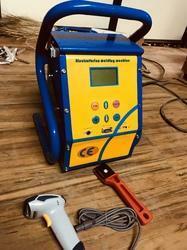 AKIRA ENGINEERS is also into manufacturing of MDPE Electrofusion Welding Machine along with other PE Manual and Hydraulic Machines for normal PE Pipes. AKIRA ENGINEERS is also into manufacturing of MDPE Electrofusion Welding Machine, Electro Fusion Welding Machine for MDPE Fittings, PE Electrofusion Welding Machine along with other HDPE Manual and HDPE Hydraulic Machines for normal HDPE Pipes. AKIRA ENGINEERS is also into manufacturing of HDPE Electrofusion Welding Machine, Electro Fusion Welding Machine for HDPE Fittings, PE Electrofusion Welding Machine along with other HDPE Manual and HDPE Hydraulic Machines for normal HDPE Pipes.